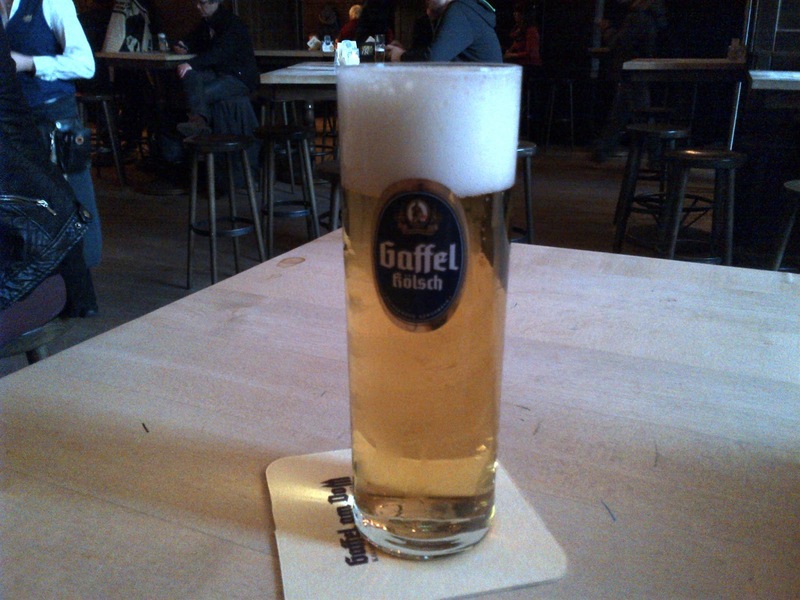 In March 2013, I spent a week traveling around Germany drinking beer. From Hamburg, to Cologne and Dusseldorf, down to Munich, up to Bamberg, then across to Berlin via a lunch stop in Leipzig. I went to try and learn more about the beers of one of the most famous drinking nations in the world. Here's the trip in a few photos. Gose in Leipzig - delicious! Prepping for that next book, Mark? I am really looking forward to seeing what they come up with, as the Berlin beer scene is really starting to move right now. You certainly packed a lot in to your week in Germany, Mark. Glad to see you managed to visit Forschungsbrauerei, my favourite brewery in Munich and producer of its most distinctive beer! The English word is "cooler" not "coolship". The brewer showing me around called it a coolship. Uerige's website also calls it a coolship: http://www.uerige.de/en/brauerei/brauprozess/kuehlschiff/. That's good enough for me. Nice blog you have here. I will be back. One small correction regarding the picture labeled as being from Kürzer in Düsseldorf. I believe the picture is from the Schlüssel brewery.